@elpoyo You have many good points. And I like the points you made, but please keep the language clean. Cheers. @globaljaybird Better yet. Share it on YouTube. Sorry, but I lost my access to ESPN2. Svi made the best of steal high light, but was only 1 for 4 from the floor and 2 of 5 from the line in the game against Finland. He didn’t play in the first game against Dominican Republic. The entire video is from 2013 against U16 competition. Is there one that is against U18 competition from this year? Conner Frankamp won the U16 championship with the USA and also was the top scorer on Team USA, but Conner struggled to get on the floor at KU. I think Svi has higher ceiling than Conner, but it’s yet to be seen what he can bring when he gets on campus. It will be great if he can be as good as Oubre in his sophomore year. I’m glad Coach Williams is coming back. 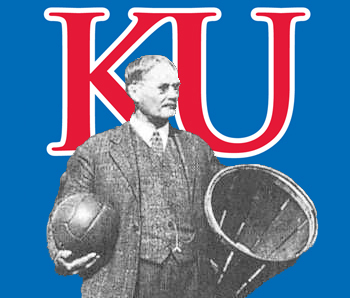 I had such a heartache when he left and thought it was a great loss for KU. I’m very happy Coach Self took over and think no one better presently, but I also think Coach Williams made tremendous contribution during his 15 years. He was a great ambassador for KU too. Now the handlers appear to be fashionable. I’m seeing more of them in the forefront now instead of the background in the past. Are we look for trouble? Piggie anyone? Kasongo not a KU recruit: Ray Kasongo, a 6-foot-9 forward from Canada who visited KU last weekend, is no longer being recruited by the Jayhawks, his mentor, Brandon Bender, confirmed Monday. Bender told Rivals.com that the unranked Kasongo will visit Indiana Sunday and Monday and may visit LSU. Michigan State remains on his list. “You’re talking about a 6-9 player (with 7-1 wingspan) who needs the minutes. Kansas has five bigs that are older than him. You can go to Indiana and possibly start as a freshman,” Bender told Peegs.com, a Rivals.com site. “LSU is making a push. Michigan State is making a push, but Indiana is our focus because we feel that’s where the majority of the opportunity is. Former Oregon signee Ray Kasongo, a 6-foot-9, 235-pound unranked power forward from Canada who will visit Kansas University with his parents Friday through Sunday, as a freshman will be able to hold his own physically against top college talent. So said his mentor, former Louisville player Brandon Bender, in a Wednesday Facebook chat with the Journal-World. @JayHawkFanToo That may work if the players can be disciplined. But in college, what matters the most is the last game of the season. I can’t see anyone being punished after season is over. I’d say the punishment to the offending team must be in the game and immediate.